I lost “friends” and sowed some discontent on Facebook when I participated in the Tallahassee Women’s March in January 2017. That’s fine. We lose connections with people, especially on social media, as our differences become too great to overlook. However, it has bothered me ever since January 2017. My pro-life friends said, “I wouldn’t have felt comfortable there — it wasn’t for all women.” And although I argued that they would have been comfortable, while my friends who had been marching in DC also asserted the activity was for all women, I knew in my heart of hearts that they would not have been at ease. When a few factors came together to make a trip to New York City possible this year, with the date being up to me, I intentionally chose something that would make it possible to get to DC. My friends, all strong advocates in their own right, and I planned to meet up in DC. I have zero apologies for participating in the March, or for the positions about which I am most vocal. Yet, it is a challenge when those positions and my choices abut people who are dear to me. As the time of the Women’s March drew near, friends on Facebook asked for prayers as their teenagers were headed to the March for Life, to be held the day prior to the Women’s March. Of course I wanted those teenagers to be safe, and I admired their adherence to their beliefs, but I felt conflicted. A Woman’s Place is in the … WHAT? As my friend Yolanda and I wound our way through the streets of DC, admiring people’s signs and reveling in the shared sense of purpose that our country has to find its way back to some semblance of equity and fairness, our attention was drawn to a group of counterprotesters on the sidewalk. They were there to express their pro-life views. A group of Women’s Marchers had stationed themselves in front of them to try to block their message. Honestly, I barely looked at them. I was processing things. But I remember Yolanda reading one of their signs: “A woman’s place is in the kitchen.” Their other messages were along the same lines and they were screaming at us about killing babies. Where in the world is the middle ground? Something in my gut told me to hold off favoriting/sharing on social media. My friend and I were running around, and it was extremely difficult to get a handle on what was happening. I’m embarrassed to admit I didn’t even know there was such a thing as an Indigenous People’s March, much less on the same day as the March for Life. Choosing to share your side of a situation in a public demonstration is not the time to have any hope of finding middle ground; that happens person-to-person, face-to-face, in our everyday lives. Our living rooms, the vantage point of a parent in a driver’s seat speaking to a kid in the passenger seat being driven to dance, soccer or lacrosse, and hopefully the classroom or place of worship. But not a protest situation. One of the first things you learn as a parent is that your child is their own person. I always cringe a bit at the “this all starts at home” line of reasoning when a young person does something unaccepting or otherwise meanspirited. What I do know, however, is that a school that allowed a situation to escalate in the way the Covington situation escalated is probably not one where my children would have remained enrolled very long. I know, too, that is entirely imperfect as my children’s parents are, they have seen two parents who each tried to model fairness, appreciation of diversity and inclusion. Did you see the picture of Prince William “shooting a bird“? It turns out the truth is in the camera angle. I feel ridiculous typing “protesting is hard,” because I really don’t know “hard.” As a white, middle-class woman who has definitely gotten everything I need in life and more than my share of what I wanted, I am aware that “hard” is something I do not know. This is the section where I tell you I don’t know the answer (ha!). It’s the section where I admit that my entire upbringing under a lovely Southern mom was geared toward being polite, not making waves. I don’t know the answer, but I also know Rosa Parks didn’t exactly wait until a passenger gave her a seat. At that same conference (We Won’t Wait), a speaker said, “Rosa Parks wasn’t tired of racism … Rosa Parks was TIRED.” (I know she was probably both, but the point was well taken.) The big changes in our society don’t happen quietly or politely. They get people’s attention and make us uncomfortable. Were the Covington students doing something hard to further a greater social good or doing something self-centered to which they were relatively accustomed to further their own discriminatory agendas? Once I learned more about the Black Hebrew Israelites, I had a better understanding of the elements at play that day. And ultimately, there’s no reasoning with a group that far on the fringes. In January 2017, my pro-life friends protested that they would not have felt welcome at Tallahassee’s Women’s March and in January 2019, people I loved marched to espouse the right to life the day before I marched for women’s rights (and other rights) while being yelled at to “get back in the kitchen.” Somewhere in the middle of all that, a group of high school boys from Kentucky came face to face with a Native American Elder while another group of extremists egged everyone on (it appears). What I can’t reconcile is why no one in that entire mix approached anyone else as a human being. It seems like it would have been more transformative. I saw lots of stock photos in my four years of doing freelance social media work, writing, and editing. If I used a search term like “leader,” I could predict the types of images I’ would find. The one above is an example. I have been involved for years in Unbound, a non-profit program that works to help people in poverty. When I participated in a blogger trip in 2014 and had an opportunity to meet participants in El Salvador up close, one of the most memorable activities was a meeting with a mothers’ group high in the mountains. The organization’s philosophy revolves around the concept that people benefit more from learning to help themselves (with support, as needed) than from handouts. The rural areas of El Salvador are far removed physically from typical corporate board rooms, but the qualities I saw among these moms paralleled what I would see in a C-Suite officer trying to make sense of corporate finance numbers for the upcoming fiscal year. When a mother’s group meets in El Salvador, the roll is taken scrupulously. A participant who does not show up and sign in is not eligible to participate in decisions or have a hand in how funding is allocated. Doesn’t it work the same way in mainstream corporate America? Despite the fact that, as a Harvard Business Review article notes, “one out of every two managers is terrible at accountability,” the expectation is that accountability helps organizations maintain integrity and therefore increase their chances of being profitable. The mother’s group was populated by moms of varying ages, some still bearing and raising families, others further along in life. These women were conscious of setting an example for one another (and for their children, some of whom were present at the meeting). The tone I got from them was, “as we go, so goes our community.” They meant business, and they loved their community. Here in the US, employees also look up to leaders to set a good example. “[G]iving people a reason to believe and to follow,” is how the American Management Association puts it, and I agree. These women didn’t watch for their own children solely – every child was every mother’s responsibility, to an extent. It may be a slight over-generalization, but it is what I have observed consistently in Central America: the presence of a commodity (food, a job opportunity, other resources) is treated as a welcome benefit to all, not to just one. Our visit was a “special occasion” (that was humbling), so there was a gracious reception for us with local foods, fresh flowers, and unique decorations. The group didn’t try to adjust for what they thought we wanted; they brought out the best in their cultural expression. This is a time of many mergers in the global economy. Merging two organizations can’t be easy; it occurs to me these newly joined organizations could take a page from the mothers of El Salvador and figure out what each partner’s roots are before digging everything up and trying to graft two companies together. True leadership doesn’t require a fancy briefcase, a bespoke business suit, or an advanced degree from an Ivy League institution. Sometimes it shows up most when a Salvadoran mom takes the lead. A version of this post was originally published by the Lead Change Group as Not All Leaders Wear Suits. The conversation got pretty amusing (to me at least), because it sent me down memory lane. “Rainbow Connection” was the song we walked to as contestants in the Miss Union County High pageant in 1981. Is there a less pageant-y song anywhere? It was cute in context, though. The whole theme was essentially rainbows and happiness. I am not pageant material. However, participating in Miss U-Co-High and a pageant I did in college are things I think about frequently. It’s not that those times in my life were better times (not at all), but that being in those contests helped me be a better person. They also give me a better understanding of pageant culture and a certain angle on what pageants have become in our society. I remember clearly my talent at Miss U-Co-High (I played “The Entertainer” on my flute and created a “jazz” kind of feel — I had on a vest-type thing and brought out an old gas lantern I had borrowed from my aunt.) I also remember Mary Annette Shadd’s talent (she won! congrats!) — she sang “The Rose” and clinched the deal by accompanying herself on the piano, something she ended up deciding to do somewhat spontaneously. I’ve always felt that addition of accompanying herself gave her an edge (can you tell I was first runner up?!). For the other pageant I did, it was one of the scads of for-profit pageants that are around, the kinds featured in reality shows. I had no clue what I was doing. I got a dress with a hoop skirt (in a situation where most women aim, to an extent, to demonstrate that they are in good physical shape — I obscured all that). What I remember most clearly is how hard it is to smile CONSTANTLY. My lips were quivering. My knees were knocking. It was nerve wracking. Despite the nerves, I am still glad I took a stab at sharing my better self with the world. It taught me a few lessons that stay with me decades later. This quote by William Arthur Ward is charming and inspirational, but may be as ill-fitting as a “Best Wishes on Your Wedding” bag among all the Santas and Snowmen under the tree, especially in the work setting. “[T]here can be serious consequences to misusing, or overusing, displays of appreciation in the office,” says Vidyard CEO and co-founder Michael Litt in Gratitude schmatitude: How too much praise devalues appreciation. I have had my share of curmudgeonliness here on the blog this year (looking at you, gender reveals). Since I try to position myself as someone who leans toward optimism, I don’t want to close the year out on a “but think about the downside” type of note. 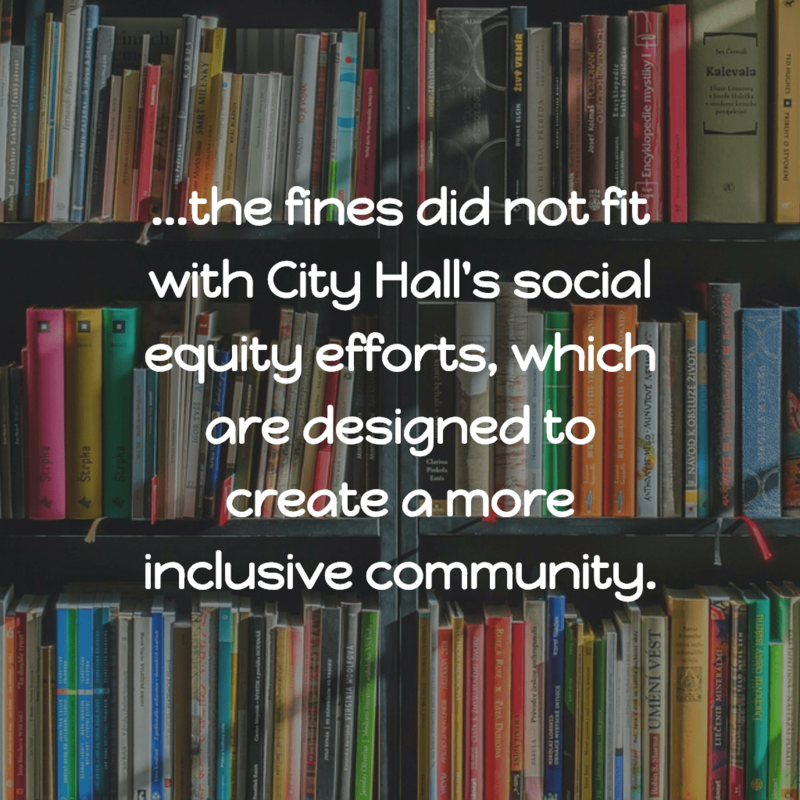 Litt’s article, which appeared in SmartBrief on Dec. 19, did leave me thinking, though. Does gratitude lose its effect if said too often, too insincerely, too mechanically? Some people find recognition extremely rewarding; others not so much. Case in point: My son won an award at school in the spring of his senior year (April 2017). 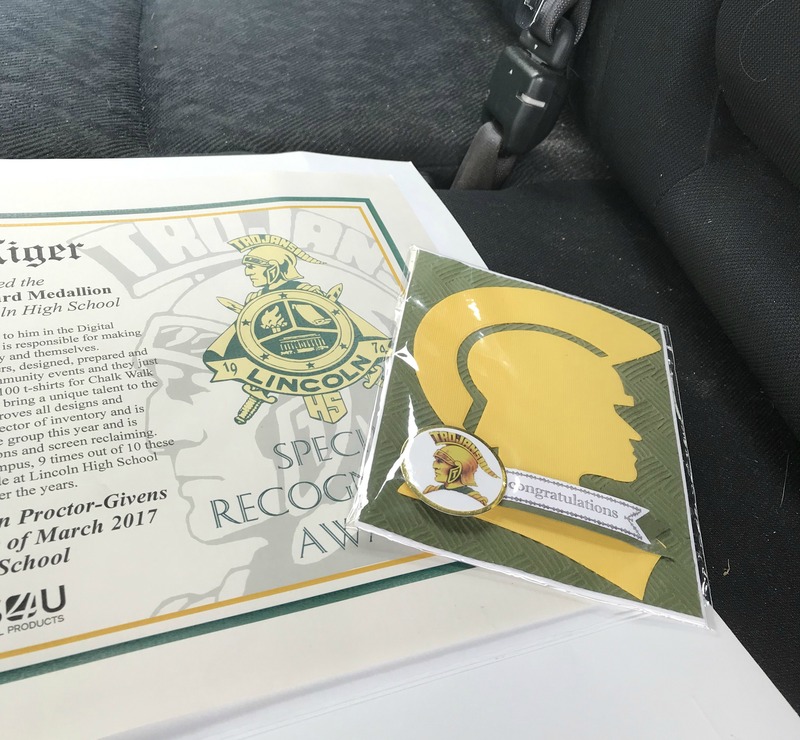 The awards were intended to be for the “non-traditional” sort of achievement and give students who might not tend to get more conventional awards a moment of gratitude. It was a lovely ceremony, and he was given a certificate, a medal and several other mementos. His items are still sitting in the back seat of my car … a year and a half later! (And yes, I realize this says way too much about how often I clean out the back of my car!). Maybe the recognition meant more to him than he let on, but given his choice of what to do with the mementos, I’m inclined to think it was not, in the scheme of things, a huge deal to him. Consider whether the person you want to thank finds public recognition fulfilling and/or motivating. For me, one of the best ways someone can express their appreciation for my role on a team is by trusting me with the details of “the big picture.” I simply function more effectively when I understand how my contribution fits into the overall plan. There are some facts and details pertinent to an organization’s life that need to remain confidential for logical reasons. However, there are many more elements of an organization’s plan that are better off being exposed to broad daylight. Transparency also has the potential to help leaders do a better job and help organizations fulfill their missions. “When employees are in the loop about an organization’s challenges, they’ll likely better understand and support the tough decisions that leaders must make,” says Rebecca Hawk in 5 Benefits of More Transparency in Your Workplace. Is there a way you can translate your gratitude for an employee’s trustworthiness and commitment to the organizational mission into a more transparent approach? This may seem counterintuitive. 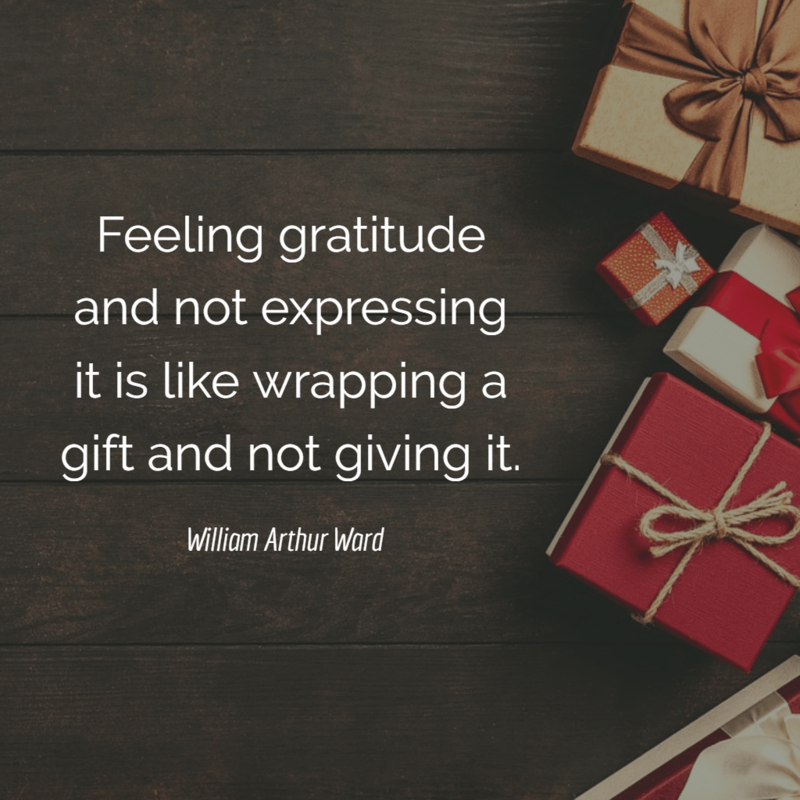 In the context of the opening quote, “Feeling gratitude and not expressing it is like wrapping a present and not giving it,” it may seem warped. Look at it, though, as wrapping the present and then giving it … not to the recipient but to someone who can use it to the recipient’s benefit in some way. I was involved in the freelance social media and communications world for the last four years, and trust me when I say that although its universe is broad, it’s still exceptionally common for people to know each other, or of each others’ reputations, even if they haven’t ever spoken. If someone comes up in conversation, it never hurts to say, “[Facebook Frances] did a great job on my campaign; she made a difference for our brand. Don’t say it if it’s untrue, obviously, or if it is awkward, but if you’re talking about Facebook Frances and have an opportunity to say a kind word, go ahead and say it. That’s the kind of paying it forward that may make a difference when Facebook Frances is looking for work in the future. Take the time to say the word of praise if it’s natural and true, even if it is not said directly to the subject of the compliment. It’s a way of giving karma a little boost. Flexibility is huge. Flexibility as a reward is something many people appreciate. I would argue it also goes hand in hand with trust. “[I]t’s becoming more common for employees to perform ‘life’ tasks during work hours and take work home during ‘off’ hours,” says the Staffing Industry Analysts group in Workplace Trends for 2019 Include Flexibility, Digital Sophistication, explaining why flexibility is gaining prominence among desired work conditions. Although I agree that the trend SIA is discussing is happening, and employers will gain employee goodwill by accommodating it, my thoughts on flexibility are a bit different. Now that I am a remote worker, and have a great deal of flexibility, this problem has been largely resolved for me. However, when I was in a traditional office, and still juggling the multiple balls involved when a family has active kids and both parents work, I would have had much less stress (and much higher morale) if there had been options to modify my schedule and work around everyone’s needs. Seek ways to help people who are performing well configure their life in a way that helps them make the best use of their energy levels and helps them take care of their other obligations. They’ll be less stressed (and more productive). Throughout my four years of freelancing, I was a member of quite a few Slack groups. Not to overdramatize, but there are times when you are a freelancer that your Slack channels are the main way you interact with other humans during the day. I have had some pretty deep (yet brief) conversations on Slack. As my responsibilities grew in one of the organizations, and my status changed from freelancer to employee, one resolution I carried forward was a commitment to — within the bounds of professionalism and efficiency — make sure to always express my gratitude and to recognize the way personal stresses present challenges unique to freelancers. You may not be able to see a freelancer on the other side of a Slack (or whatever system you use) exchange, but they still need to know their efforts at doing a good job matter and their stresses are acknowledged. Litt didn’t mean that money should never be used to express gratitude. However, he says research does not substantiate the effectiveness of “short-term or one-off financial bumps” for improving performance. Don’t rule money out to demonstrate gratitude, but be deliberate in your approach and choose something that directly correlates with the difference an employee made. I like financial rewards as much as the next person, but I agree with Litt that there are other ways to help employees feel appreciated. 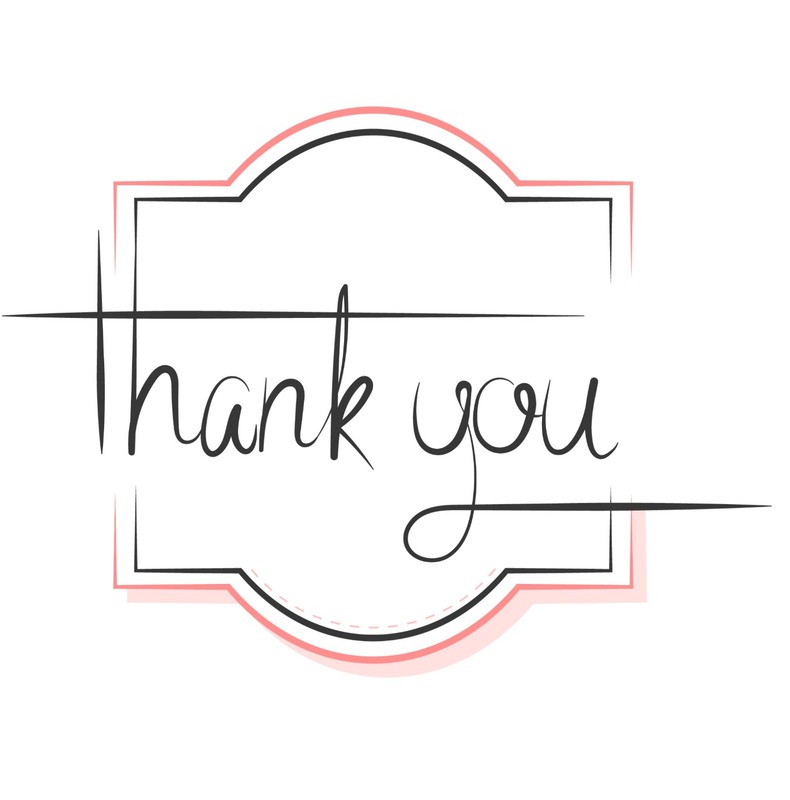 For me, the most important ways to show appreciation are trusting me with glimpses into the “big picture,” honesty about where things stand (organizationally and with my performance) and appealing to my sense of teamwork. How could an employer best show gratitude to you?